We now have a new dedicated out-of-hours service, and additional routine clinics available at more convenient times, to improve the level of care for the pets of Aylesbury. Clinics will be at the hospital on weekend afternoons and at our Watermead branch surgery on Sunday mornings. We proudly provide this improved service to ensure pets who are sick or injured can be cared for 24 hours a day, by veterinary teams specifically working either the daytime or night-time. It takes over from the previous service where day vets have been on-call overnight. Please read on to find out more about our comprehensive emergency service for small animal, equine and farm. We are happy to advise that we provide our own out-of-hours service from our Hospital in Anchor Lane, Aylesbury. This out-of-hours service complements our day teams to give the most comprehensive level of care to pets, at any time of the day or night. This service means the vets for both daytime and overnight are fresh and focused to provide the highest quality continuity of care, which is local and convenient, that we pride ourselves on. You don’t have to be registered with Hampden to access our 24-hour emergency service. If you aren’t registered with us, then please speak to your practice in the first instance, however if this is not possible please call us. Pets who are registered on our Healthcare Plan will receive the HCP discount they are entitled to for treatment they receive from the out of hours service. The receptionist will take your details and ask you about the symptoms your pet is showing. In consultation with our clinical staff, you will be advised to the next course of action. Where to go: Depending on the nature of the emergency or time of day, you will be asked to take your pet to either the nearest branch surgery or direct to our hospital in Aylesbury. Emergencies or unexpected accidents can occur at any time of the day but you can be assured that the Hampden team is here when you need help. 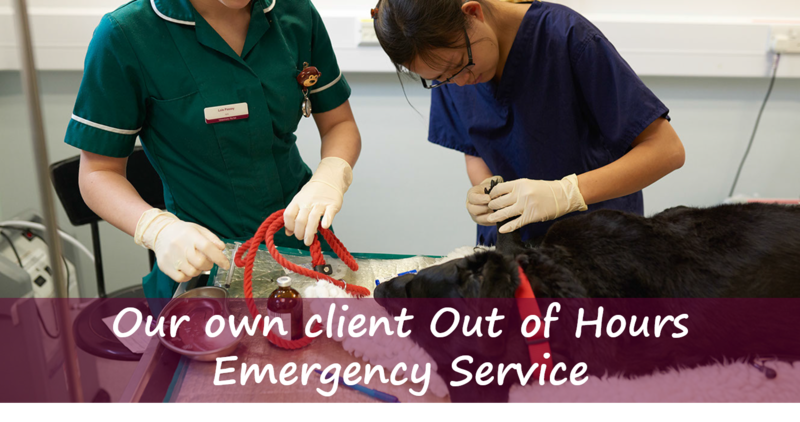 Hampden Veterinary Hospital provide round the clock emergency care for horses under our care. Charges: During normal working hours there is an additional charge for attending emergencies. Outside of this, an "out of hours visit" fee is charged. As with our equine service, Hampden Veterinary Hospital provide emergency care for farm animals under our care, 24 hours a day, seven days a week. Charges: During normal working hours there is no additional charge for attending an emergency. Outside of this, an "out of hours visit" fee is charged.